Hope lives on that Ski Denton in Northwestern PA will reopen after closing operations in 2014. Though it had runs for all abilities, Ski Denton PA was known for its steeps, and among its 22 runs were some of the most extreme in Pennylvania. Ski Denton was located in the heart of Northern Pennsylvania’s heavy snow country on US Route 6. Situated between Galeton and Coudersport, its beautiful scenery and great conditions made it easy to understand why Potter County PA is known as “God’s Country”. slopes ranging from the steepest in the Eastern states to long, gentle beginner trails, Ski Denton long drew skiers of all levels. 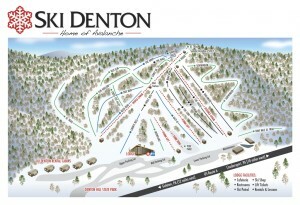 With the addition of a lighted Snowboard Park and new tube slide, Ski Denton offers fun for everyone. 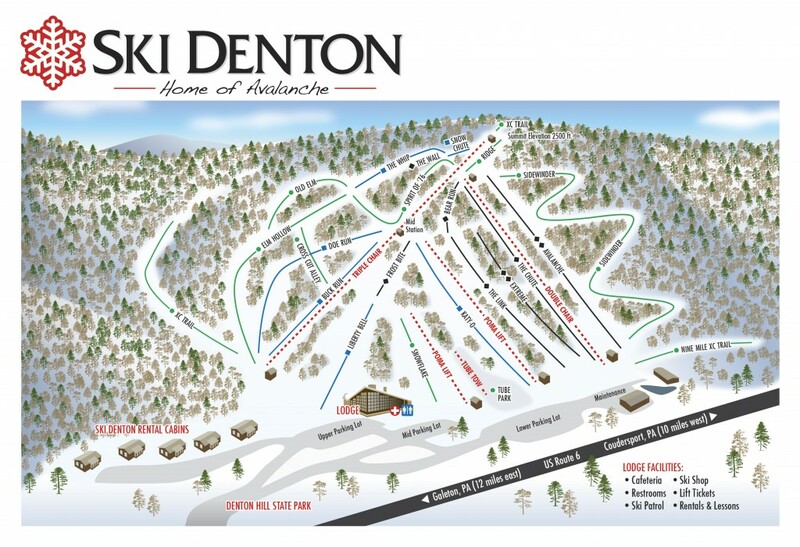 Though the four lifts are closed to tubing and downhill, you can still enjoy 50 miles of cross country terrain and some great mountain bike trails at the former Denton ski resort. Ski Denton featured 5 cabins. Each cabin accommodated up to six people and was conveniently located on the Denton Hill State Park premises. Guests enjoyed free lift tickets. I used to be the Denton Hill Ski Patrol Leader and was the Patrol Leader when the State of Pennsylvania gave up running Ski Areas and put them out for consignment . Really hope the area opens soon .